In 1997 I was introduced to Bhai Baldeep Singh and the Sikh kirtan tradition that had been passed from generation to generation in his family for over 400 years. I learned that in the 1970’s his great uncles, Bhai Avtar Singh and Bhai Gurcharan Singh, had published the notation for nearly 500 compositions that their family had remembered in the oral tradition. This book, in two volumes, is a monumental and unprecedented treasure of the Sikh heritage. I have had the opportunity to learn many of these songs from Bhai Avtar Singh and Bhai Gurcharan Singh, as well as the next generation in the family, Bhai Baldeep Singh and Bhai Kultar Singh. The music is complex and there is much that cannot be communicated by the notation alone. There is much to learn about the musical system of rāga and rhythm, the artistry, the language, the philosophy and meaning in the poetry, and the meditative experience the music both invokes and expresses. Today, January 1, 2012, I will embark on a journey to discover more of the treasures hiding in plain sight in these books. It is an opportunity to get introduced to many new shabds (songs), but a one year timeline will not allow time for getting to know them well, although I can imagine that certain songs may insist on being learned, and might attach to the daily practice for awhile even while moving on. I’m hoping to be able to pull at least the skeleton of the melody out of the notation, and it will be interesting to notice the places that are not easily accessible, evidence of the many miles of learning still ahead. It will also be an opportunity to listen to many recordings collected over the years, as well as discovering where online recordings exist, etc. I am hoping that this exercise will support the deepening of the kirtan practice, and will not become a distraction from where the practice should be focused. In America there is often a warning along with television images, “these people are professionals, don’t try this at home.” Understanding the limitations of book learning, and with profound respect and gratitude for the experience of learning from this family of masters, I hope that this endeavor will enhance the continuing relationship with the teachers, the music, and the learning. 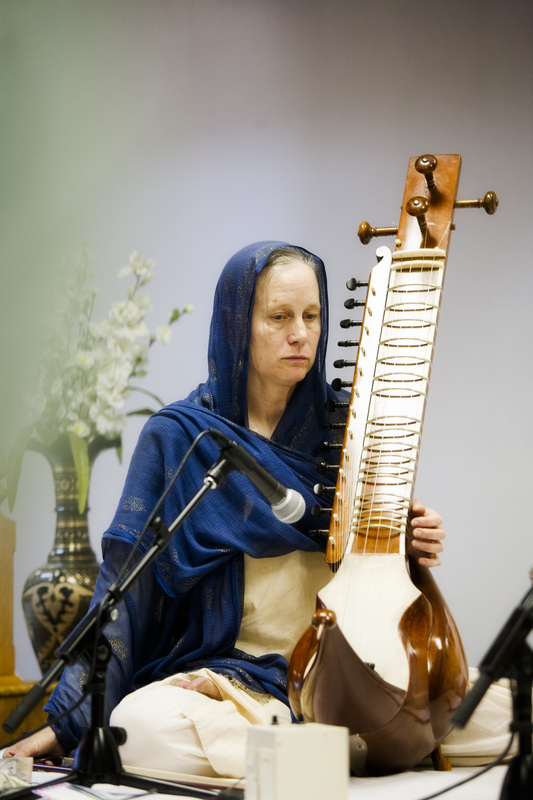 The Sikh gurus left a musical legacy, a treasure map to spiritual awakening. At one or our early meetings, Bhai Baldeep Singh shared these words from Guru Arjan’s Song of Peace, “break the bonds, become nirvair”. By God’s Grace, this is another step in that direction.